Dane Powell pleaded guilty in April to felony charges, including rioting and assaulting a police officer, in the violence that accompanied the inauguration of President Donald Trump Jan. 20 in D.C.
WASHINGTON — A man who admitted to participating in violent, destructive riots that broke out in the District during the inauguration of President Donald Trump appeared in D.C. Superior Court Friday and was sentenced to 4 months in jail and 2 years of probation. 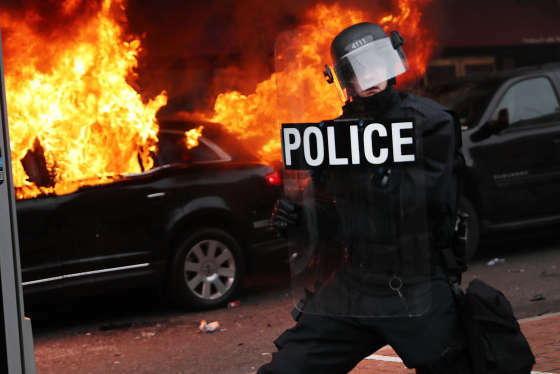 Powell, who is from Florida, was among more than 200 people arrested and charged in connection with the riots Jan. 20. He was the first to plead guilty to felony charges. Prosecutors were hoping for a six-month sentence, while the defense wanted only probation. “He admitted being part of a group of rioters who moved approximately 16 blocks over a period of more than 30 minutes,” said the U.S. attorney’s office for D.C. in a statement. According to court documents, the group formed around Logan Circle and began a “black bloc” demonstration, in which members wore black clothing, sunglasses, masks, helmets and other items to conceal their identities. Some were armed with hammers, crowbars and wooden sticks, prosecutors said. 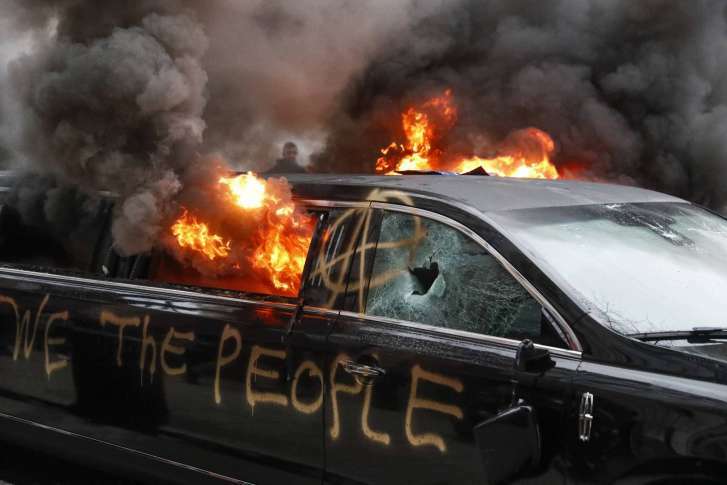 As members of the group began rioting, business windows were smashed, a limousine was set on fire and clashes with police left six officers injured. The group DefendJ20, which supports those who were arrested, claims most are refusing to accept plea deals. Trial dates have been scheduled for dozens of defendants, with the first expected to begin in late November. Another trial is set for Dec. 11, while the rest will likely happen in the spring and summer of 2018.